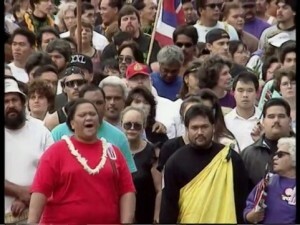 ʻŌiwi TV > ʻAha Pūnana Leo > Nā Hulu Kupuna – James Hueu, Jr. 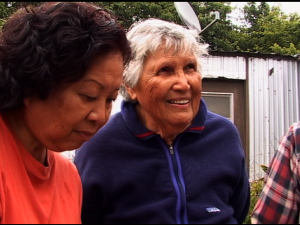 In this program, interviewer Tuti Kanahele travels to the taro-growing district of Ke’anae, Maui, to talk with James Keolaokalani Hu’eu, Jr., a long-time resident and taro grower. Kupuna Hu’eu takes Tuti on a tour of the lo’i, or taro patches, naming the many different varieties of taro and demonstrating how to plant and harvest. 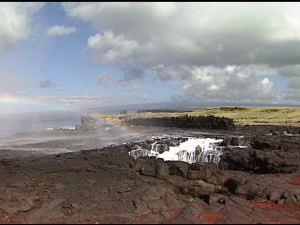 Videotaped June 12, 1991 at Ke’anae, Maui.